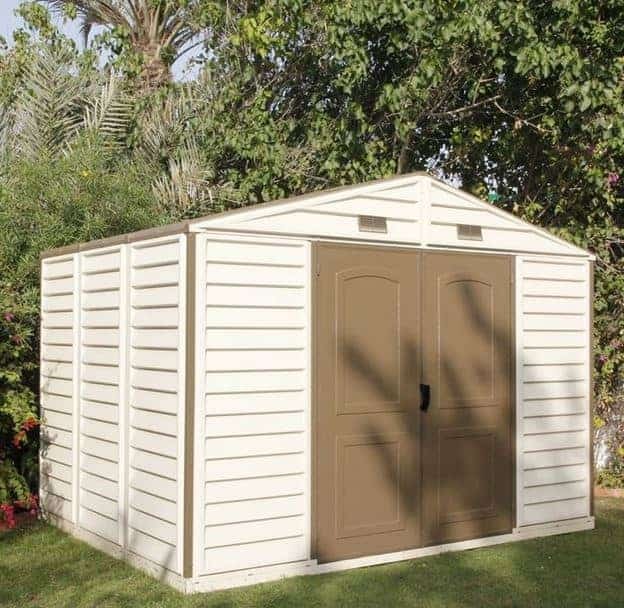 This 10 x 8 shed has a strong metal structure running throughout it. 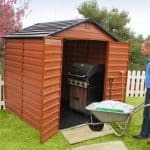 But on top of that it also has a plastic covering that provides strong protection against rainwater. 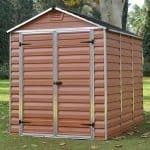 It is this strong protection that really characterises the quality of the shed. 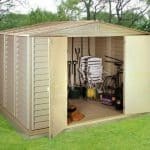 This shed is built to last and also keeps the contents dry and safe. 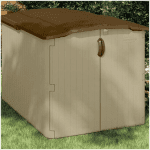 Completely weather-proof, there is plenty of space inside the building, and also ample scope for storage.